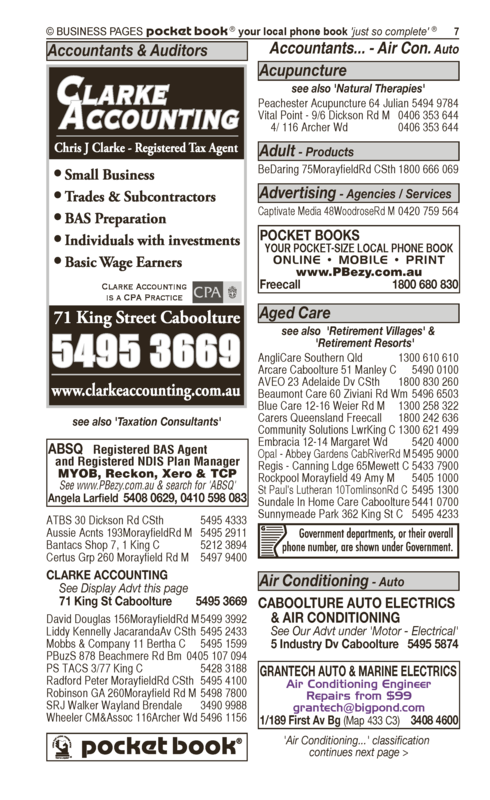 Pocket Books is an advertising medium providing comprehensive local business and other community activity information. It is available online, on mobile devices and in print. Currently, we mainly operate in Queensland and Victoria in Australia and in parts of New South Wales. 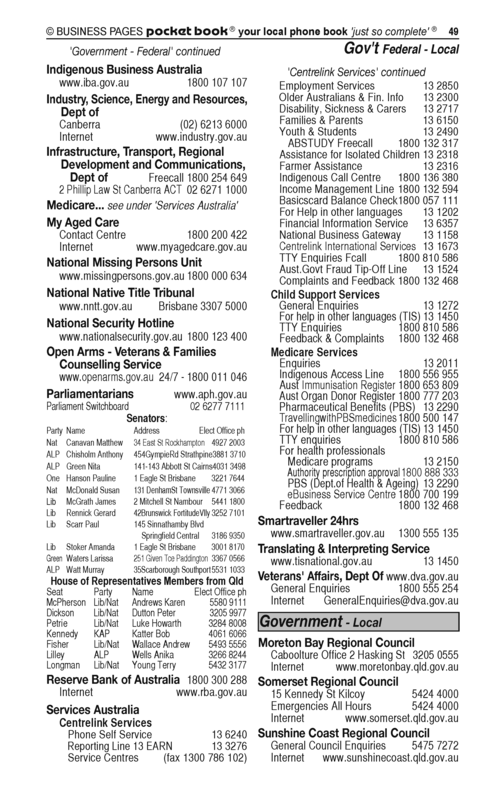 The business started in 1990 by producing a series of printed phone and street directories for regional cities and districts in Australia. 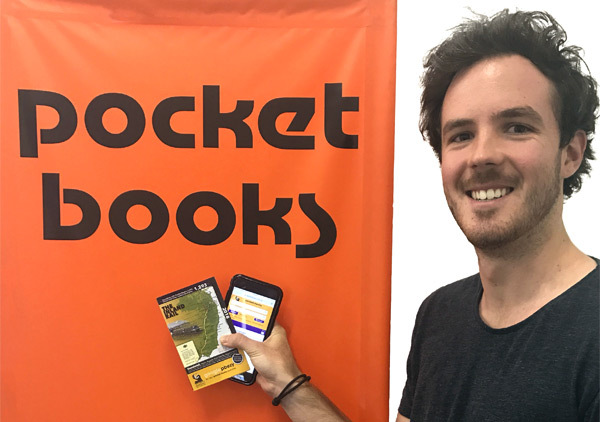 While the production of the printed directories is continuing, with the emergence of the digital platforms, Pocket Books has developed availability of, and searches for, information on those platforms as well. The books focus on regions with a population base of some 30,000 to 150,000 residents in 12,000 to 50,000 homes and often upto 5,000 businesses. In country areas this might include some 6,000 farms or acreage properties. The online internet searches enable cross searches amongst various regions with exposure to international and out-of-area buyers interested in a particular local area, which is of particular interest to investors. 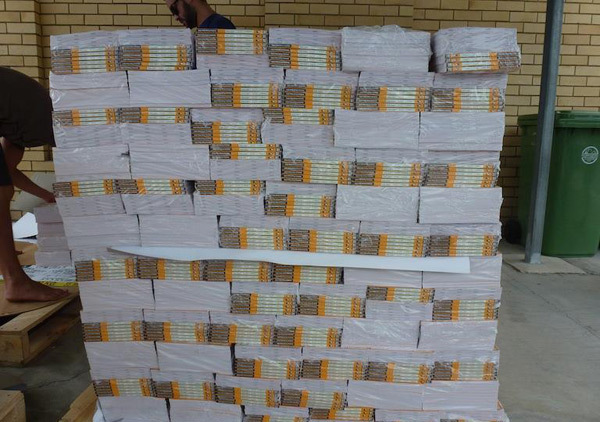 The books are close to A6 and A5 in size, being 95mm x 155mm, and also 180mm x 155mm. The smaller books, and nowadays the mobile phones, fit comfortably into a shirt or jacket pocket, thus the name of the company. The slightly larger books, and nowadays the tablets of comparatively the same size, easily slip into a handbag, glove box and brief case, and often in the CD compartment between car seats. In addition to the phone numbers, the books include a detailed local street directory drawn by Pocket Books and regularly updated. The maps often include streets that a user would not be able to find on Google maps. The books include also extensive clubs listings and activities, a compilation of governments listings in its own section, emergency listings section, calendars, lunar cycles and rain charts and even a section where a user can record his own rain chart. In rural areas we also list properties by name as a separate section. The books can also be read in a book form online on our website at www.pocketbooks.com.au (see Our Books). This distinguishes us from most other directories, which do not offer this facility. However, Pocket Books online offers much more than just reading the books online. It provides a 'just so complete'® instant search of entries in the local areas on mobile devices and on computers. Online business profiles allow for extensive contents with images and video promotions and links to social media and clients' websites. Our online searches have been designed to be 'ezy' and user-focused. For this reason we call searches on the Pocket Books website 'PBezy searches' and users can reach the Pocket Books website either through www.pocketbooks.com.au or through www.pbezy.com.au. Businesses are arranged in the book within their relevant classifications in the Business Pages, within the Maps sections and within the Alphabetical Pages. Pocket Books®' Alphabetical Pages go considerably further than just displaying listings alphabetically. We have developed a totally original cross-referencing system. With this, almost every firm listed in Alphabetical Pages has a reference in the phone number column telling you in which classification in Business Pages you will find that firm. The book businesses are transposed online by intertwining them with purely web advertisers in a unique way, so that a client can choose only print, only web or combined advertising without losing its advantage of each of the platforms. 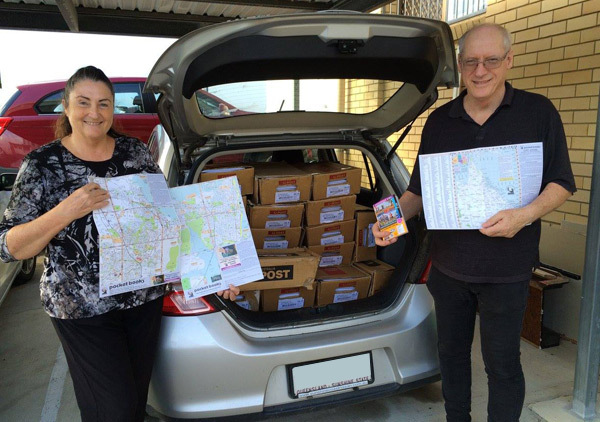 The main areas with printed directories are currently Caboolture - Bribie Island - Kilcoy, Redcliffe - Deception Bay, Gladstone - Boyne Tannum, Hervey Bay - Fraser Island, Goondiwindi - Mungindi, Southern Downs - Warwick - Stanthorpe - Texas - Inglewood and Moorabool - Bacchus Marsh - Ballan. Pocket Books website includes advertising of the book regions however it expands to any wider areas for which the books are not produced. 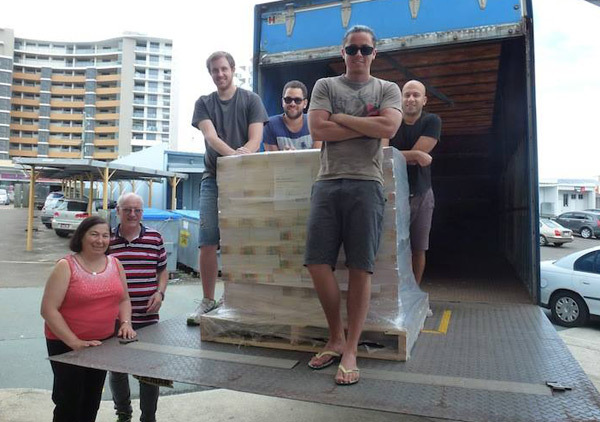 The founders of Pocket Books®, Gerry and Nevenka Clarke, together with a dedicated staff, run the business from Beerwah, a Sunshine Coast Hinterland town famous for Steve Irwin's Australia Zoo. 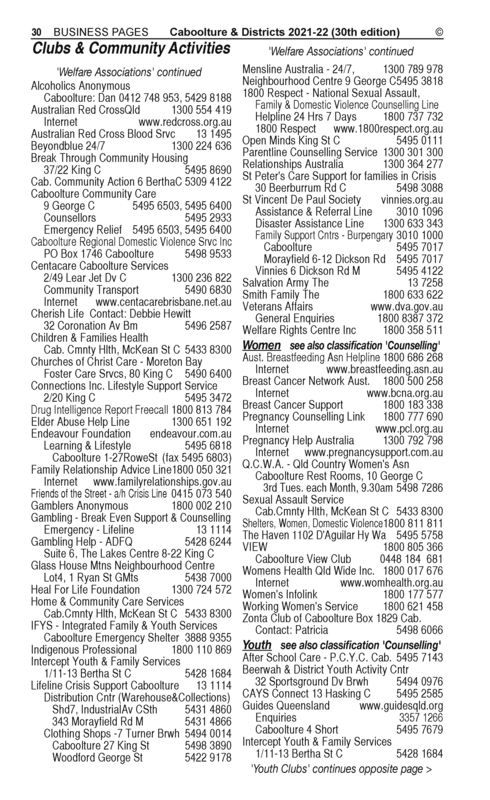 Gerry has worked in advertising with real estate, cinemas, calendars and for other directories. He saw a need for a far better form of directory for regional cities. His wife, Nevenka, is a computer data systems developer and a statistician mathematician. Together, and with the team of dedicated staff' they designed this unique Pocket Books® system for you.